Super Eagles coach Gernot Rohr says “it’s not easy” for players in the Nigeria Professional Football League (NPFL) to break into his team because of the lack of good organization and poor infrastructure in the league. No out-field player in the NPFL is an integral part of the Super Eagles under Rohr since he took charge of the side in 2016, with Katsina United goalkeeper Ikechukwu Ezenwa rarely seeing playing time recently after losing his place to Cyprus-based Francis Uzoho. Asked why he usually ignores the home-based lads while inviting players to the national team, the 65-year-old former Gabon coach said: “I can tell you that it’s not easy for the local players (to make it to the Super Eagles), when you see the conditions. “They have to play in old astro-turf, in a championship which is playing for six or seven months. How do you want them to be fit and be able to compete with players in Europe who have the best conditions for training, for playing, organization and for health? Ahead of the 2019 AFCON qualifiers against Seychelles and the friendly match with Egypt in Asaba, Rohr initially invited two NPFL players (Ikechukwu Ezenwa and Valentine Ozornwafor) but that number increased to four following injuries to Europe-based Samuel Kalu and Ola Aina. However, Rohr is worried that the home-based players are always leaving Nigeria for greener pastures abroad because of the poor conditions in the NPFL, thereby making it more difficult for him to work with them. He added that with improved infrastructure in the NPFL, the trend might change. “You’ve seen that we have four of them now because I invited two from Under20; the captain (Ikouwen Udoh) and the best defender (Valentine Ozornwafor). But you know each time we invite somebody (home-based player), a few weeks later, he is in Europe. So he is no more a local player. “Since I’m here for two and a half years, I’ve invited more than 22 local players but all of them are now abroad. And every time we start inviting again, and everyone wants to come because it is the way to go to Europe to make money, which is normal. “But they need better infrastructures here. Imama (Amapakabo) and me we agreed, he (Imama) worked so many years here in the clubs. 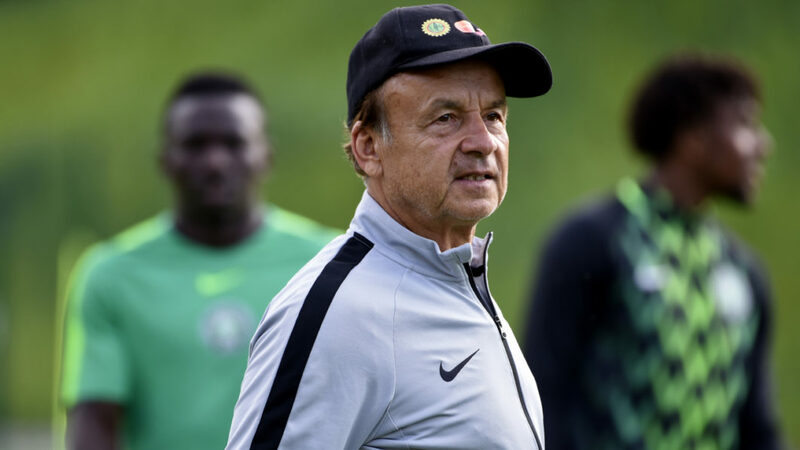 The infrastructures, the training conditions, the organisaton, the big transport, the high distances and all these things including the organization of the league; not playing for six months, it is very difficult for the local players,” Rohr stressed. Former Super Eagles coaches Sunday Oliseh and late Stephen Keshi regularly invited and worked with local players, with the latter taking six and four home-based lads to the 2013 AFCON and 2014 World Cup respectively.